The laid back and relaxed beach resort of Byron Bay a couple of hours south of Brisbane certainly has got a reputation much bigger than it's actual size. And it's easy to visit and wonder what all the fuss is about because on the surface it can look simply like another beach resort town, but scratch the surface and find possibly the most hip, relaxed and laid back destinations worldwide. Byron Bay takes time to work it's charm and it certainly stands apart from many of the beach resorts along the East Coast of Australia. Certainly it has more soul than somewhere like the Gold Coast or Noosa which are more focused on traditional style tourism. The real appeal of Byron Bay beach resorts is that they provide that something a little alternative to the mainstream and it's always been this way. The only real question is weather a town of only about 30 000 can sustain over two million tourists a year and remain user friendly. Finding a good beach resort that will offer some refuge from the sometimes somewhat chaotic soup outside is the key to enjoying Your time in the byron Bay area. Since the aquarius children of the 1960's started to gather here the momentum has continued to this day. You would not call it a hippy town, but there is certainly this element to it. Alongside the alternate cultures that get stronger as you head out to the surrounding mountains and their rainforest people communities, there is also a backpacker presence, surfers and a kind high end beach resort and health resort scene. People used to say that Paul Hogan used to have a house here, but in reality today many celebrities are known to frequent the area. Accommodation options are wide and varied but here we will focus on the best beach resorts around Byron Bay. This is our review of the top Byron Bay Beach Resorts. The 4.5 star Byron at Byron Resort and Spa, Suffolk Park is celebrated for the top notch packages it offers combined with lavish self contained suits. Sure it's a few minutes out of town but on the beach with such a wonderful 45 acres of subtropical natural chic rainforest environment - and the shuttle can get you into town. Weather you are on a package or not, there are enough complimentary activities around the beach resort including Yoga, the huge pool with a kids area, a quality of the concierge service, rainforest and boardwalks, and a daily shuttle. A Sauna, Spinway Cycles and Tennis courts are also available. Guests really lap up the quality service, great food and beach setting. And in the true spirit of Byron Bay there is a Tesla charging station. The rich dense backdrop rainforest hills also provides a rich food culture in the area - something you may like to include in your vacation/ holiday plans. There are dozens of farmers markets on the go. The focus is on artisan food products with a health a holistic focus and homemade crafts. 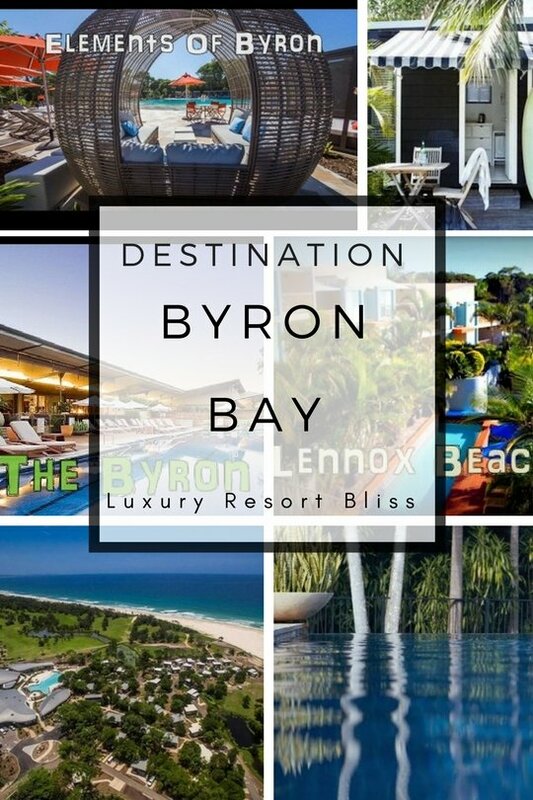 There are plenty of Byron Bay Beach Resorts with a holistic focus if this sounds of interest to you. 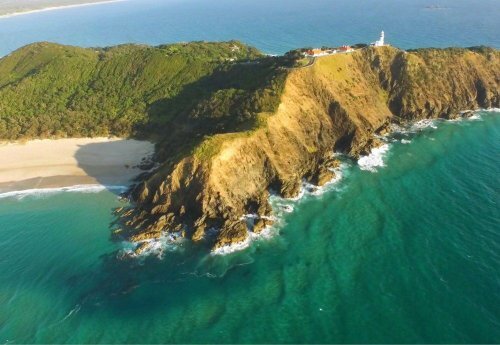 The Lighthouse is a walk worth doing that takes you to the Cape Byron and the most easterly part of Australia. That itself does not sound especially exciting but the views from the 1901 historical compound make this one of the most memorable things many travellers and up doing in Australia. On a good day you the possibility of a whale or dolphin sighting is definitely on the cards and the views out to Arakwal National Park to the south and Mt Warning to the West are amazeballs. Look to the Byron Bay beach resorts close to town if this is your interest. The beaches of Byron Bay are also worthy. The New South Wales coast is blessed with amazeballs beaches from north to south and Byron Bay is not any exception. Main Beach, Clarke Beach and Wategos have reasonable surf for newbies to the sport and lessons are widely available here. The more experienced head out to Little Wategos by foot. If you are simply looking to satay on Main Beach where the centre of town is there are certainly a few beach resort options here. You will find a lively music scene where you may recognise the artists name that play at the hotels in town. Some Big names might surprise you. Not to mention around Easter when some of the biggest names in music converge with thousand of others for the East Coast Blues and Roots Festival. Elements Of Byron with 103 rooms is at the larger end of what you will find in the Byron Bay area and one of the closest you will find to a traditional full scale resort. For example there is porter service and an upscale concierge floor. Rooms are also resort style with additions like hair dryers, Private entry Large bathroom, King size bed, Air conditioning , in-room ipad, WIFI, Mini-bar, coffee machine. Elements is a little to the north of town than the onsite bar and restaurant will come as a relief to some. The resort prides itself on its food and the fresh caught and grown local produce. The Osprey Spa also ads another dimension is open from 10am to 6pm for guests aged 16 years unless sharing an experience with parent. Guests give this resort mostly excellent reviews and the the pool area and the adults only area is a standout. Great to find a resort close to Byron but away from all the noise which is largely self contained with things like a pool kiosk, a fire place at nite ,and all on an excellent position on the Beach. There is a shuttle bus to take you to town. More information and reviews for Elements of Byron. 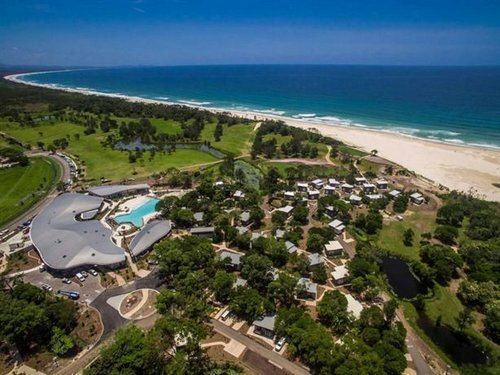 About 15 minutes to the South of Byron Bay is the impressive Lennox Beach Resort. Lennox Heads has long been recognised as a prime vacation beach and this resort is especially convenient to the quaint beachside village which includes restaurants and shops. From the resort it's only a short 2 minute walk to Seven Mile Beach. beaches and enjoy it in the true spirit of the place. perfect combination of location and style surrounded by swaying palm trees and the sound of the ocean. While it does not have all the facilities of the bigger resorts they do go the extra mile here, and the reviews are good. Evening fires, Gourmet kitchens, and meals by the pool create a good vibe. The beach is a little bit of a walk as you can see in the video but entirely possible multiple times a day. Chalk it down to extra exercise. The modern air-conditioned, wifi enabled rooms with private bathroom, a private balcony and tea and coffee making facilities, go down a treat. Located at Belongil Beach, the Byron Beach Resort and only a 15 minute walk to town. While not at the top end of the markets there are some more upmarket rooms as well as more casual traveller accommodation. Some of the room options include self contained cottages to dorm rooms. The Beach Suites are some of the best Byron Bay apartment accommodation options. The attraction is the central location and the close access to the beach. There is a good range of rooms from studios to immaculate penthouses with spas and private pools with ocean views. Many have barbecues and mini kitchens. The rooms are modern and spacious with Austar TV and free wifi. This is a good choice if you would like to stay close to town. Byron Bay see a lot of action and the bars and around town can get busy which can make security a bit of an issue but this place is well protected. You have only a short walk to many restaurants in the area as well and have less need for a full service resort. The caravan tourist parks in Australia have come a long way in recent years to the point where many are more impressive than the actual resots themselves. We have stayed at some of the better tourist parks around Byron Bay and many of these offer impressive credentials. Discovery Parks Byron Bay Beach Resort have a Water Park, Swimming Pool, Tennis Court, a huge Jumping Pillow and lots more. Check out the reviews and special offers for Discovery Parks Byron Bay Beach Resort.